If you know any Web resources with pictures of Barford (perhaps your own personal website), please e-mail us details using the ContactUs link. All our galleries are created using JAlbum software. On 4th May 2016, the Duke of Kent visited Barford to re-open King Georges's Field. He spoke to children from St Peter's School, visited the Village Shop and had lunch in the Memorial Hall. Thanks to Dave Warren at Picture Team for the photos. Click here or on the thumbnail image to view the photo gallery. Gallery number 66 - "The First Christmas"
In December 2015, local people of all ages performed a play entitled ‘The First Christmas’ in St Peter's Church, Barford. This shared the remarkable story of the birth of Jesus, the origin of the Christian faith, in the account told by St Luke (with a little help from Matthew). Thanks to Sarah Ransome for this gallery of some "behind the scenes" photos. A sunny day again this year for a walk in the Warwickshire countryside. 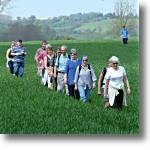 The annual parish walk on 4th May 2015. Thanks to Alan McDermott for the photos. 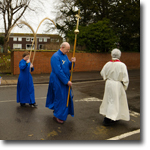 Images from Palm Sunday in Barford. Thanks to Will Mulryne for the photos. Will is working on a photographic project entitled "Six Small Churches". Click here to see how this project is coming along. 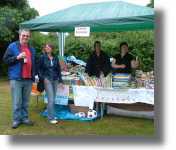 Images from Barford Village Show 2014 which took place on a very wet and cold August bank holiday Monday. 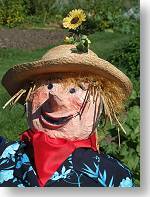 Photos from the flower and produce show, scarecrows, Punch & Judy, Scalextric event etc give a flavour of the day. Click here or on the thumbnail image above to view the photo gallery. 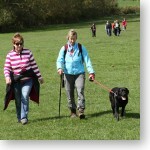 This year, another sunny day, a lovely day for a walk in the Warwickshire countryside. 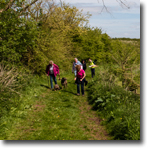 The annual parish walk on 5th May 2014. Thanks to Alan McDermott and Keith Roberts for the photos. This year’s “Beating of the Bounds” raised £580.00 - Thank you to all assisted and participated. 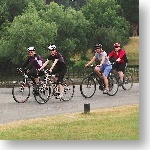 The newly-formed Barford Cycling Club got off to a flying start in July! A mixed group of nine coasted down to Stratford for a coffee by the river, with a return route via Walton Hall and Moreton Morrell. 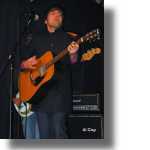 Thanks to Maxine Watts for the photos. 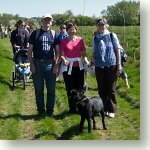 A bright, sunny day for the annual parish walk on 6th May 2013. 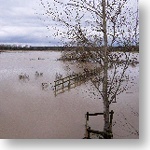 Images of the River Avon flooding at Barford on Christmas Day 2012, taken from the old bridge. Thanks to Richard Jones for the photos. 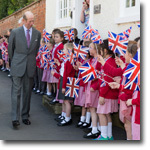 Images from Barford's celebration of the Queen's Diamond Jubilee, June 2012. Some of the paintings from Barford Art Group's exhibition in 2011. Thanks to Pat Hooper for the images. 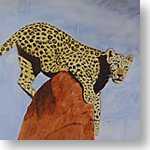 Click here for more information about Barford Art Group. 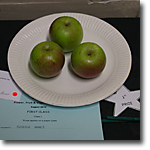 Images from Barford Village Show which took place on August bank holiday weekend. Photos from the flower and produce show, beer festival and scarecrow trail give a flavour of the weekend. 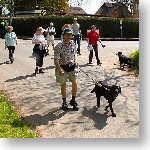 Excellent weather for the annual parish walk on 2nd May 2011. 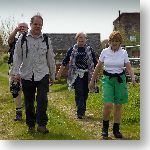 A new route this year took walkers through Wasperton to Hampton Lucy for lunch. 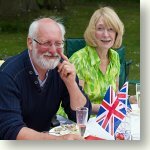 To celebrate the marriage of Prince William and Kate Middleton, the residents of Verdon Place held a street party. 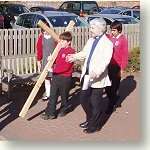 Pupils at Barford St Peters CE Primary School enjoyed an "early" Holy Week through a series of collective worship assemblies focussing on Palm Sunday, Maundy Thursday, Good Friday and then culminating in our celebration of Easter in church on the last day of term. These very popular worship sessions, organised and led by Rev'd David Jessett, further strengthen the strong ties between our school and the worshipping parish community. Remember the winter of 2010? Thanks to Anne Hanson for these photos of snow in Sherbourne. 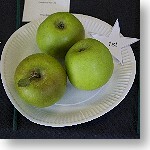 A large selection of photos from Barford Village Show which took place on August bank holiday weekend. Photos from the flower and produce show, history playlet, music event and, of course, the scarecrow trail give a flavour of the weekend. Thanks to Alan McDermott and Maggie Hayward for the photos. Barford Heritage Group launched their new book, "Becoming Barford - The story of a Warwickshire Village ", on 1st May 2010 with an exhibition in the Memorial Hall. The full colour publication traces the development of the village from a small Anglo-Saxon settlement to the 1960s using over 200 pictures and many reminiscences. 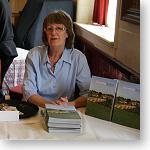 The new book is now on sale in Barford Village Shop, price £12.99. Thanks to Alan McDermott for these photos which show the exhibition being set up and some of the enthusiastic crowd of Barfordians who came along on the day. 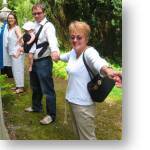 The traditional walk around the parish boundary took place this year on Monday 3rd May. Thanks to Eric Kendrick and Alan McDermott for these excellent photos which capture the community sprirt of the event. Click here or on the thumbnail image to view the gallery. 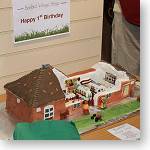 There was a big turnout for Barford Village Shop�s First Birthday Party on Sunday 1st November 2009. Despite the drizzle outside, the shop was filled with villagers and dignatories. Mary Peirson thanked all those who had helped make the shop's first year such a success, and the birthday cake was washed down with a few glasses of bubbly. Thanks to Keith Roberts for these photos. 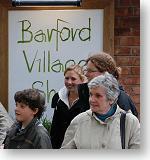 Villagers turned out for Barford Village Shop�s "Summer Beach Bonanza" on Sunday 30th August 2009. 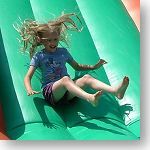 Activities included Punch and Judy show, fancy dress competition, face painting, traditional seaside games, musical entertainment and much more. 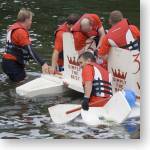 Thanks to Bobbie Russell for these photos of the Raft Race, organised by Wellesbourne Lions, that took place on 21st June 2009. The race starts at Wasperton. The photos were taken at Hampton Lucy weir. Here are a few photos that I took early morning on Thursday 5th February that I feel are a rather nice reflection on the village. I have high res versions of the files and can enlarge and print any of the photographs if anyone is interested. I hope you like the photos. Please do not use these in any other publication without my prior consent. Click here for Rob's website. 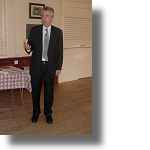 A large gallery of over 40 photographs from the Grand Opening of the Village Shop, on 1st November 2008. Thanks to Rod Scott for the photos. A large gallery of 75 photographs from the Scarecrow Weekend, which took place at August Bank Holiday 2008. 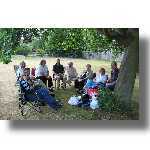 Thanks to Alan McDermott for these photographs from "Beating the Bounds" which took place on 5th May 2008. 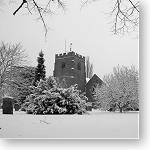 Barfordians awoke on 6th April 2008 to an unseasonal surprise heavy snowfall. Thanks to Alan McDermott, John Evans and Keith Roberts who was out and about early and took some photos on his mobile phone. The miracles of modern technology! 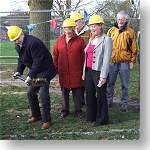 The first sod for the new Village Shop was cut by James Plaskitt MP at a short ceremony on Saturday 1st March 2008. 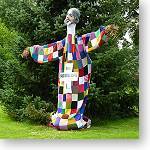 Click here for latest news on the village shop. 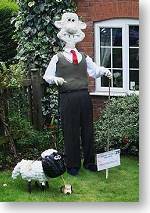 Thanks to Alan McDermott, Anne Wilson and Keith Roberts for these photographs from the Scarecrow Weekend, which took place at August Bank Holiday 2007. 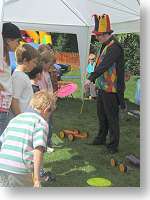 Thanks to Hilary Rhead and Keith Roberts for these photographs from the Barford St Peter's School Summer Fete, which took place on 7th July 2007. 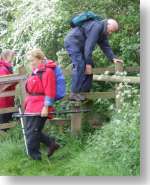 Thanks to Alan McDermott and Keith Roberts for this series of photographs from "Beating the Bounds" which took place on 7th May 2007. Gallery number 36 - Class 3 "Our Settlement"
Pupils in Class 3 at Barford St Peter's Primary School have been combining their geographical and computer based skills. Their geography work during the Spring term was focussed on "settlements." The result is an excellent presentation. Click here or on the thumbnail image to find out more and view the presentation. 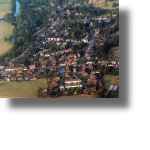 Gallery number 35 - Aerial photos of Barford. Thanks to Graham and Celeste Lees for these excellent aerial photos of Barford and the surrounding area, taken on New Year’s Day 2007. 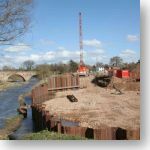 Progress of the by-pass construction can be clearly seen, as can the effects of the high rainfall in December which has caused localised flooding of the River Avon. Click here or on the thumbnail photo to view the photo gallery. 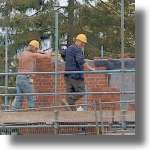 Gallery number 34 - Building the new Barford Bridge. A series of photographs from Andy Bolam as the "new" Barford Bridge takes shape. Gallery number 33 - Graham Lees cycle ride from Lands End to John o' Groats for Breast Cancer Care. 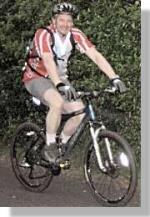 Congratulations to Graham Lees on achieving his goal to cycle from Lands End to John O’Groats. Click here or on the thumbnail photo to read his account of the journey and view the photo gallery. 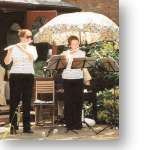 The Mid Summer Notes concert was held on 10th June in baking heat in the beautiful garden of Kate and Ian Findlay. Click here or on the thumbnail photo to go to the gallery. In April, we highlighted Laura Spoor on the website, as she ran the London Marathon to raise funds for the charity "KIDS". Here is Laura's own story and pictures of the event. Thanks to Andy Bolam for these first pictures of the Barford By-Pass construction. Taken on 12th March and 1st April, they show the good progress being made along the length of the road. Click here for the latest news about the by-pass. 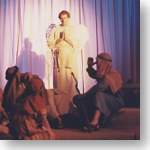 The Story of Christ’s Nativity, presented in music and mime, will be performed by the parishioners of St Peter’s Church this Christmas. The pageant, involving over a hundred adults and a few children, is performed every five years and has, since the early 1950’s, become a village tradition. Our picture gallery shows performances of the pageant since it was first staged in 1950. If you would like to take part in the pageant, either front stage or back, please contact Jan Bradley on 624433. Over 20 photos from Barford Drama Group's presentation of "Far from the Madding Crowd", staged at the Memorial Hall in July 2005. Thanks to David Winstone for the photos. Over 30 photos from Barford St Peter's School Summer Fete, held on on 9th July 2005. Thanks to Keith Roberts for the photos. Twenty photos from the "Make Poverty History" event on 3rd July 2005. Five photos from the Mid-Summer Notes concert on 18th June 2005. Thanks to Shirley Osborne for the photos. Nineteen photos from the commemoration of the life of Joseph Arch. Thanks to Keith Roberts and David Winstone for the photos. 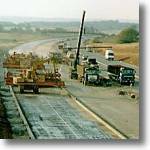 With build of the Barford by-pass now nearly a reality, here is a reminder of the M40 construction in the mid 1980's. Thanks to Paul Watson for the photos. Photographs of the annual Beating the Parish Bounds walk, Monday 2nd May 2005. Thanks to Keith Roberts for the pictures. This album uses our new JAlbum software for improved viewing. All existing galleries have now been converted. 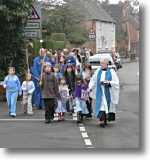 Twenty photographs of the procession to St Peter's Church, Palm Sunday 2005. Thanks to David Winstone for the pictures. The twelve photographs in this gallery were taken during the construction of the new building at Barford St Peter's School over Summer 2004, and include the offical opening ceremony. Thanks to Lindsey Oscroft and Maria Burgess for the photos. These photographs of Barford Church, the Granville Arms, Joseph Arch cottage, Barford Memorial Hall and All Saints, Sherbourne, were taken by professional photographer Mike Long. Mike specialises in shots taken from a high viewpoint, and I'm sure you'll agree that it gives a novel view of familiar buildings. Click here or on the thumbnail to go to the photo gallery. Fifteen photos from the Discovery Weekend, September 2004. Click here, or on the thumbnail, to go to the photo gallery. 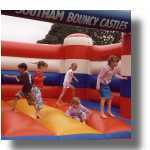 Photos from the (rather wet) Summer Fete at Barford St Peter's School, June 2004. We began this year on what was initially a very wet May Monday morning. Despite the weather, almost 80 people started out, with many more joining in the afternoon. The rain stopped 10 minutes into the walk and the afternoon provided some warm, sunny weather. Our late change of lunch venue to the Church proved very successful, with most people sitting outside to enjoy the change in the weather. Many thanks to everyone who helped out, gave access permission to land or unlocked and locked gates for us. Click here or on the thumbnail to go to the Gallery. Helen and Roger Clay’s son’s band “The Redkites” played at Barford Memorial Hall and raised over £500 towards the School Building Fund! 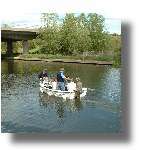 Well over 80 people turned up on 17th April 2004 and everyone had a great time. Mike Darby’s involvment was providing the sound equipment and technical services as well as taking photographs of the guys in the band. Thanks to Mike for these pictures of the event. Many thanks to Graham and Celeste Lees for these nine photographs of Barford from the air. They were taken from a Piper PA28 aircraft flying from Wellesbourne airfield. Click to visit the Wellesbourne airfield web site. 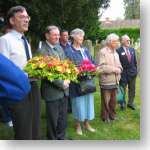 About 40 people attended the short ceremony on Saturday 27 September, 2003 when Roy Sowden, Vice Chair of the Council of Disabled People (CDP) Warwickshire and Coventry, and James Plaskitt MP, formally opened the new toilet for disabled people and the car park improvements. Roy said that the CDP is always pleased when barriers created by society are removed to make it easier for people with an impairment to use facilities such as the Memorial Hall. Roy and James agreed how important it is that the Community Fund is using the money from the National Lottery for such valuable and important purposes. Here is a trip down memory lane, with photos received from Stuart MacDonald, of British Columbia, Canada. Stuart says, "The BRS picture was taken in 1954 on a Saturday morning as that was the only time you find everyone on the same spot. My brother Duncan, not in the picture, helped me fill in some of the names so here we go. Sitting on the hood left to right Doug Rogers, Len Wheeler, Stu MacDonald. Standing left to right in the smock Jack Powers, Johnny Rouse, unable to recognize the next 5, Sid Hall he married Beryl Lane, Joe ? he was the foreman. Kneeling John Bromley and his dog, Ted Sparks. 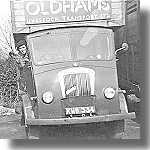 BRS was sold in 1955, the new name reverted back to Oldhams, as seen in the next two pictures." 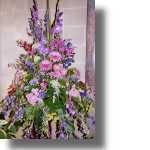 Photographs taken at the Sherbourne Flower Festival, held in All Saint's Church over the weekend of 5th to 7th September 2003. Early in June, trades unionists from across the country came to Barford on their annual pilgrimage to remember Joseph Arch, the local man who founded the first union for farm workers. A couple of hundred members of the Transport and General Workers Union (T&G) came to pay their respects. 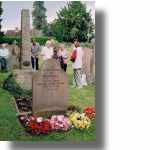 Wreaths were laid on his grave in Barford churchyard, before a march and rally. Peter Allenson, the T&G’s national secretary for agriculture, said, “His message still rings true today. Rural workers are not handed a living on a plate. We have to fight hard and campaign tirelessly in 2003 as we did in his day”. Rural Affairs Minister Alun Michael was among those who braved the June weather to join the rally. William "Bill" Wilson, the former MP for Coventry South, who has looked after the grave for many years, also attended the event. The eight photographs in this gallery were taken during the Village Reunion Picnic, July 20th 2003. Thanks to David Winstone for the pictures. The photographs in this gallery were taken during the Barford St Peter's School Summer Fete, July 5th 2003. This event raised nearly £2,400 which will go towards teaching resources. Thanks to all who made the fete such a success. The photos show some of the fun events. The twelve photographs in this gallery were taken in and around Barford over the Easter weekend, 1998. Many thanks to Mary Bates, Bobbie Russell and Ron Elliott for providing the pictures. Click here for our feature article. 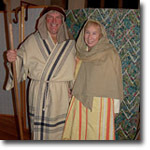 The two photographs in the gallery were taken in St Peter's Church, Barford by Roger Braithwaite, as part of a "Barford in 2000" Millennium photography project. 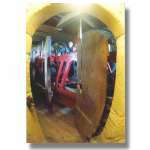 The first photograph shows Tower Captain David Ellis checking the bell ropes, seen through the belfry door. The second photograph shows the bells, with David Ellis standing by the clock. Both photographs were taken with a fish-eye lens. 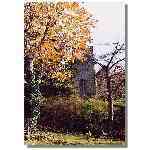 Five photos of the delightful Autumn colours in Barford 2002, taken by Keith Roberts. Click here or on the thumbnail to go to the	photo	gallery. 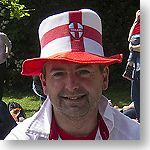 In warm sunshine, the Jubilee picnic proved to be a massive attraction for all three villages. 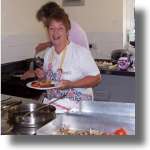 Barford Women's Institute would like to thank all those who provided entertainment on the occasion. Notably Paul Williams and Betty Corbridge for playing the piano, Ann Williams for leading the spirited singing, Barloni for entertaining the children and Peter Wilson and Roger Clay for their cabaret. 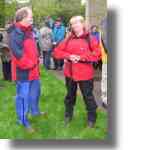 Photographs of Beating the Bounds walk. 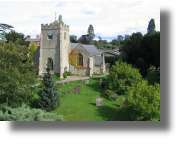 Simon Clark, who was married at St Peter's in June 2002, sent us two photographs of the Church in Springtime. 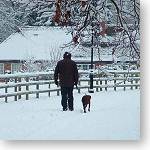 Do you have any pictures for our picture galleries? 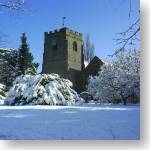 If you have any photos of Barford, Sherbourne or Wasperton for inclusion on these pages, which you think will be of interest to visitors to this website, then please let us know by e-mail. The pictures can be old or new, black and white or colour, it makes no difference. We have the technology to transfer them to the website, and will return them to you when we have made a copy. 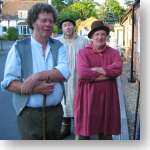 We'd like these pages to show village life past and present, throughout the seasons. So get out your camera, or look in your attic. We need lots of pictures to keep ringing the changes. E:mail us now by . Find out more at the foot of this page.